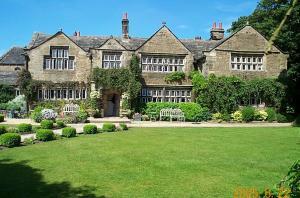 Choose from 80 hotels and guest houses in West Yorkshire. Shown below a just a selection of the hotels available. To search within an area please use the menu on the right. With rooms overlooking the world famous Headingley cricket pitch, this uniquely located hotel forms part of the redeveloped Headingley Carnegie Stadium complex, situated within easy reach of Leeds city centre. Headingley Lodge offers a selection of spacious room, with some stunning views of this historic cricket ground. These stylish rooms benefit from modern facilities including power showers, colour TV, radio and tea/coffee making facilities. To ensure a good night's sleep rooms are fitted with a king-size bed. For you comfort, this modern hotel is completely non-smoking throughout. For your convenience, there is free on-site parking. Bewleys Hotel Leeds offers the epitome of affordable chic in this cosmopolitan and vibrant young city. You'll find the infamous shops and effervescent nightlife right on our doorstep. Contemporary, relaxed and informal that is the ethos behind every Bewleys Hotel. Our Leeds property is located in the city centre and close to the motorway networks. 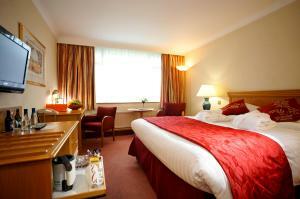 Built in 2004, the hotel is modern throughout and completed to a very high standard. Bedrooms are of four star standard at 280 sq. ft. and come fully equipped with every modern convenience, such as: - FREE Broadband Internet Access - Full Soundproofing - Hypo-allergenic Duvets - Power Showers The Brasserie, our independant restaurant, is also open for dinner where quality and value are the order of the day. Three courses from our a la carte dinner menu start at just GBP 13.85. Just off the A1 at Darrington, south of the M62 interchange near Leeds, this recently renovated hotel offers free Wi-Fi, free parking and stylish, contemporary en suite rooms. In West Yorkshire, 10 miles (16 km) south east of Leeds and with easy access to the region's major roads, the Kyte Hotel has a convenient location, whether you are exploring the area as a tourist or visiting the area on business. The stylish and modern rooms have spacious desks, TVs, Twinings tea/coffee making facilities and curtains with blackout linings. The bathrooms feature bathing products and toiletries from Scottish Fine Soaps, as well as big, soft fluffy towels. There is a bar, a coffee/business lounge and an ? la carte restaurant offering classic British dining and good-value home cooked meals, made with the finest, freshest ingredients. Hot food is available from 07:00 to 21:00, or 22:00 on Fridays and Saturdays. With an on-site restaurant and a fitness suite, with sauna, steam room and hot tub, the 4-star Cedar Court Hotel offers a friendly welcome and a convenient location near the M62 motorway. Every guest room at the Cedar Court Hotel has a TV, refreshment tray, ironing facilities, hairdryer, trouser press and direct-dial telephone. There are also well-lit working areas. The Olympic Restaurant serves an ? la carte menu that makes the most of seasonal ingredients. The restaurant has a courtyard for the summer months. The hotel is just off junction 24 of the M62. Huddersfield town centre is a short drive or taxi ride away, where there are lots of shops and cafes. This elegant and modern 4-star hotel has a superb location in the heart of the city centre, only a short walk from the train station and all that Leeds has to offer. 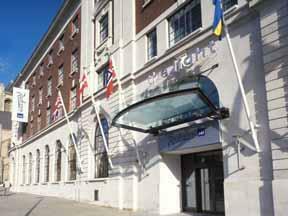 The Leeds Marriott Hotel is just a short walk from the famous shopping area of the Victoria Quarter. All of the city's numerous shops, restaurants, bars and nightclubs are nearby, as is the Royal Armouries Museum. Leeds Bradford International Airport is less than 30 minutes away by road. All of the spacious, recently refurbished rooms feature air conditioning, satellite TV, minibars and high-speed Wi-Fi wireless internet access (at an additional cost). Whether you are staying at the hotel for business or for a holiday, the superb leisure facilities are a great way to relax after a hard day's work or a long day spent exploring the area. The well-equipped leisure club houses a heated indoor swimming pool, a sauna, a steam room and a fully equipped gym. Opened in 2008, this brand-new modern hotel features cutting-edge style, sleek contemporary accommodation and superb state-of-the-art facilities. All of the hotel's 115 stylish and contemporary rooms feature 21st-century comforts and facilities, such as plasma-screen TVs and iPod docking stations. Every room has a chic, modern bathroom with a large walk-in shower or a bath and a shower. The hotel offers free Wi-Fi internet access throughout. The impressive facilities include a top-of-the-range gym, a 25-metre swimming pool, a steam room, a sauna and a whirlpool spa. The dining and drinking options include the Victory Pub, the Verve Oven & Grill and a Starbucks coffee shop. On the outskirts of the city of Leeds, just off the M62 motorway, the hotel has a convenient location with great access to the region's major road network. Just 5 minutes' drive from the city centre and boasting a large free car park, this privately owned 2-star hotel offers comfortable en suite accommodation at great-value rates. The Adriatic Hotel is just a short distance from Chapel Allerton, a lively suburb of Leeds, which has plenty of fantastic wine bars, restaurants and cafes. With the city centre just a few minutes away by car, the hotel has a convenient location, whether you are exploring the region as a tourist or visiting the area on business. Leeds United Football Club's Elland Road Stadium is a 15-minute drive away. Free parking is available for guests' use. All of the hotel's rooms are en suite and each one has a TV and tea/coffee making facilities. Rooms are serviced daily. The restaurant offers excellent value for money, with a table d'h?te and an ? la carte menu both featuring traditional English cuisine. The lounge is a comfortable place to relax and enjoy a drink after a hard day's work or a long day spent exploring the area. Groups of up to 25 can easily be accommodated and the buzzing city centre is a fantastic place for stag and hen parties Established for over 30 years, the Adriatic prides itself on offering hotel-quality services at bed-and-breakfast prices. 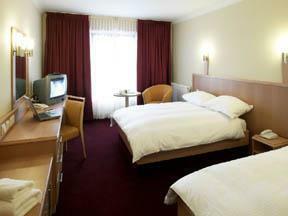 Express by Holiday Inn Bradford City Centre is directly opposite Interchange Rail and Bus Station. All room rates include continental breakfast Express by Holiday Inn Bradford City Centre is 10 miles (16 km) from Leeds Bradford International Airport and 12 miles (19.3 km) from the main shopping centres in Leeds city centre. The hotel is centrally located within Bradford, within the Leisure Exchange complex. Leisure Exchange is easy to access from the motorway and is home to Frankie and Benny's, Nando's, Pizza Hut, The Real China, Cineworld, Gala Casino and Hollywood Bowl. This boutique hotel has chic, modern, newly refurbished bedrooms and public areas and is within easy reach of the Bradford interchange bus and train station. Leeds/Bradford Airport is 12 miles away. This hotel is family-owned and managed and is within easy reach of Bradford city centre, Saltaire and Shipley. 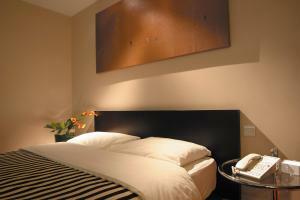 It is a very comfortable property with a relaxed, friendly atmosphere. There is free wireless broadband in all bedrooms and public areas, as well as free car parking. At Village Leeds you will experience a warm welcome, complemented by professional service and a wide range of leisure facilities for you to enjoy during your stay with us including 25m swimming pool and full gym. The hotel also offers a range of meeting and conference facilities and everything you need to unwind after a hectic day of meetings or sight seeing. Enjoy a meal in either the Verve Bar & Grill or the Victory Pub and Kitchen, relax with a dip in the pool, pamper yourself with a health & therapy treatment or work up a sweat in the fully equipped gym. For those of you who want to venture out of the hotel and leisure club, there are plenty of things to see and do for the whole family, all within easy reach. Leeds boasts some of the best of the North's theatres and music venues and if you love to shop, Leeds will have something for you. Harvey Nichols is a must. Venture out of town and you will find the beautiful Yorkshire Dales and 'Last of the Summer Wine' country. Don't miss Bradford's excellent Museum of Photography, Film & tv. Whatever you are looking for the Village Hotel & Leisure Club, Leeds is the perfect venue for an exhilarating and exciting break away. With easy access from M1 (Junction 39), a free car park, on-site restaurant, health club and en suite rooms, this modern hotel is ideal for all travellers. Stay for 2 nights or more at the Campanile Hotel Wakefield and enjoy free access to Greens Health & Fitness Club. Enjoy a meal in the Cafe Bistro Restaurant. Relax in the warm and friendly atmosphere. Rooms offer peace and quiet for real comfort and relaxation. 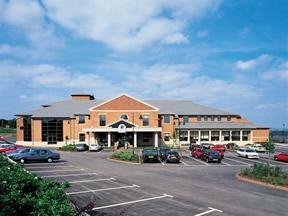 Located just off the M62, this hotel is close to Wakefield, Leeds, Castleford and Pontefract. 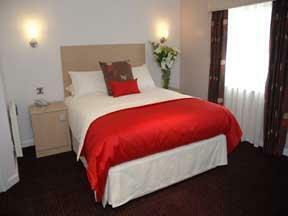 All rooms have en suite facilities, tea and coffee making facilities, a TV and a telephone. 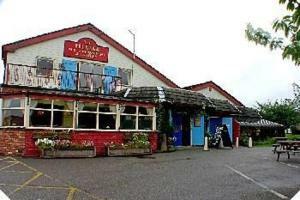 There is a spacious dining area serving great quality food at great value-for-money prices. The bar has pool tables and SKY TV. With easy access to the M62 and M1 motorways, only 6 miles (10 km) from Leeds' city centre, the hotel offers comfortable, great-value, modern rooms and free parking. Just off junction 27 of the M62, the Premier Inn Leeds/Bradford (South) has a convenient location, with great access to the region's major roads. The hotel has a 24-hour reception desk and Wi-Fi is available at an additional cost in part of the building. Some rooms can take 2 adults and up to 2 children (under 16 years). The 2 children also get a free full breakfast when accompanied by an adult eating a full breakfast. An all-you-can-eat buffet breakfast is available each morning and includes the expected cooked items such as scrambled, fried, poached or boiled eggs, and pork or vegetarian sausages. There is also a wide continental selection. 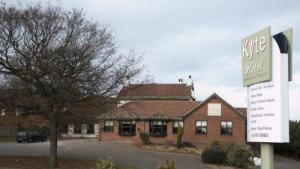 The on-site Brewers Fayre restaurant offers traditional, great-value pub favourites in a family-friendly environment. Just off the A1(M) and 3 miles (4.8 km) from Pontefract town centre is this comfortable Premier Inn with a Two For One restaurant and free parking. Premier Inn Pontefract South is 2 miles (3.2 km) from Pontefract Racecourse. 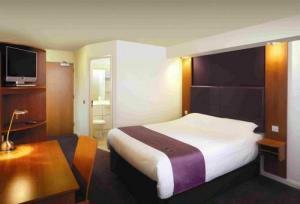 All rooms have comfy beds and some rooms at Premier Inn can take 2 adults and up to 2 children (under 16 years). The 2 children also get a free full breakfast when accompanied by an adult eating a full breakfast. The full all-you-can-eat breakfast has the expected cooked items, including vegetarian sausages, as well as a wide continental selection.